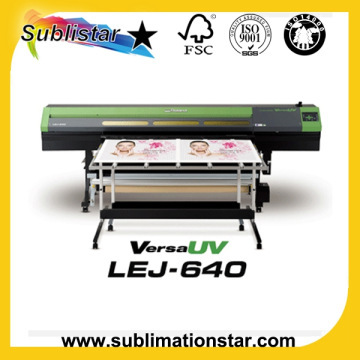 FOB PriceUSD 5000.0-20000.0/Set Get Latest Price ModelFU-B-483 Min.Order1 Brief DescriptionHigh quality Roland LEJ-640 wide format UV printer with high speed can help you save your time and money in printing. Four ink configurations including Clear Coat ink. Eliminate head strikes with smart sensor technology. No rock but plenty of roll. 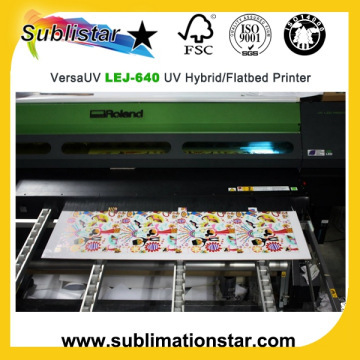 Turn up the printing with high-speed mode. Powerfully efficient and ozone-free LED lamps. Easy and energy-conscious electrical set-up. Enhanced VersaWorks© RIP software included. Roland DG quality and reliability is standard.